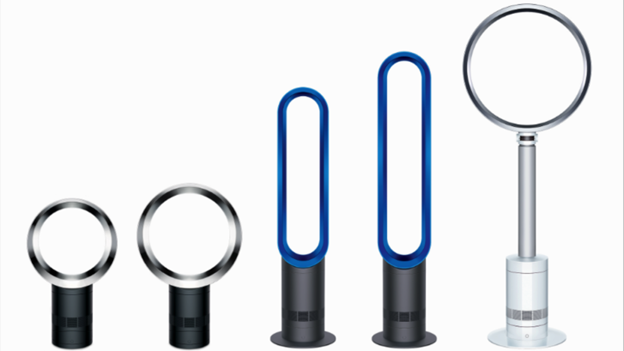 Dyson has unveiled its new range of cooling fans ahead of summer. The new Dyson Air Multipliers come with a new feature that removes the high-pitched whistle that frequently drew complaints. According to Dyson, the new version of the fans are up to 75 per cent quieter than previous models. They also don't suffer any “blow-ability”, it claimed. However, it isn't just the noise dampener that is new in the 2014 models. They also come with a new remote and a sleep timer for those who want to get to sleep, but are concerned about power bills. They also come with the ability to set the fan at one of ten airflow settings. These settings are designed to help you keep cool during the UK's occasional hot, muggy nights. Dyson released a video accompanying the launch of the 2014 Dyson Air Multipliers. It explains how its engineers managed to remove the high-pitched whine its previous models suffered from. The 2014 Dyson Air Multipliers will hit retailers' shelves this month. According to Dyson, they will be priced ranging from £219.99 up to £299.99 in a range of colours including iron/blue, black/nickel, iron/nickel and white/silver.